This year, the London branch of Innovation Forum will run both a Healthcare and Cleantech stream for the IMAGINE IF! competition. Having received free mentoring and advice by industry experts from leading corporations including Johnson & Johnson and Marks & Clerk, as well as access to the international Innovation Forum network, these startups will pitch at the Regional Finals on the 19th February 2019. Regional Healthcare winners secure their participation at our annual IMAGINE IF! Global Final conference in Cambridge on June 27th 2019. Here, each healthcare startup will pitch in front of international industry professionals, stakeholders and investors. The winners will be awarded with a non-dilutive cash prize, professional support for rapid development of their company and 6-months of free workspace. The Innovation Forum team thanks all the teams that participated in the competition. Breastfeeding plays an important role in shaping gut bacterial communities in infants to promote healthy development, but not all women are able to solely breastfeed. BoobyBiome aim to help breastfeeding mothers by developing a probiotic supplement for formula milk which contains all the beneficial bacteria typical of breast milk. The enthusiastic team also envisions developing a personalised microbiome service for mothers. 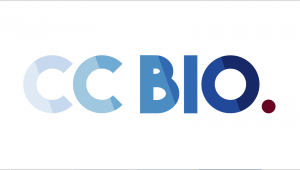 CC Bio is tackling a common female infection, bacterial vaginosis (BV), with a smart localised solution. Tampon-based, easy to use and specific to the causative bacterium, their product shows promise for the treatment of a highly prevalent disease that is rarely discussed worldwide. CC Bio aims to decrease recurrent infections and preserve the genital microbiota during treatment. Celltrinsics is a software tool imaging cells in complex 3D environments and analysing their behaviour in real-time. Also being able to integrate this data with genomics and other biological datasets, the goal is to analyse the origin of cellular behaviour to predict cells fate. The dynamic imaging modes provided by Celltrinsics reduces cost and time associated with unsuccessful cell culture experiments whilst also providing sophisticated, intuitive visualisation of the data. 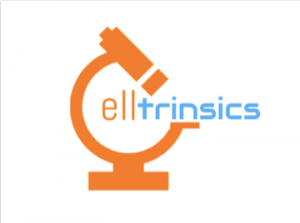 Celltrinsics provides a stepping stone in analytics for cell therapies and assays for drug discoveries. DiBeat is a blockchain-based platform that aims to connect researchers with diabetic patients to accelerate the development of diabetes treatments. Researchers will be able to test medically- and healthcare professional-validated ideas on diabetic patients. The DiBeat app will allow patients to directly contribute to finding a cure for diabetes. Patients with advanced/ end-stage cancer can undergo photodynamic therapy (PDT) to bypass therapeutic resistance mechanisms of cancer cells. Geccko have developed a nanodevice that addresses the limitations of PDT (e.g. lightsource requirements) whilst having real-time targeted, patient-specific nanomedicine such as desired drug loads and the ability to repurpose current drugs. This nanodevice is constructed from a combination of non-toxic degradable precursors that has the potential to be used at the bedside. Jelly Drops tackles the common problem of dehydration in those who suffers from dementia. Dehydration decreases patient quality of life and, in the worst cases, can lead to hospitalisation due life-threatening complications. 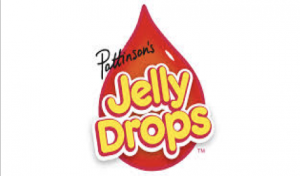 Jelly Drops are bright and tasty water-containing treats, which easily grasp the attention of people with dementia, helping them keep hydrated. Currently, biopharmaceutical industries use costly chemical methods to manufacture microspheres that have a low throughput and requires a large operating space. 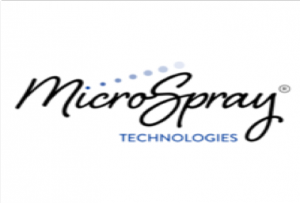 MicroSpray Technologies brings to market multiplexed atomisation devices that improves particle production efficiency by 1600% in a safer, sustainable and economical process and dramatically reduced size complexity. This electrospray platform technology is considered the “holy grail” of particle manufacture in aerosol generation methods and can now provide the sufficient production of polymeric particles for pharmaceutical drug delivery. MyPainScore addresses the need for a standardised method of assessing pain and the delivery of a personalised pain management plan. Through the development of a novel, AI-driven, feedback-based solution, MyPainScore matches pain management resources to the needs of individuals suffering from chronic pain. This prognostic tool has been developed by a multidisciplinary team of academics, GPs and patients. With a combination of robotics, AI and machine vision, Neurotech aim to improve the functionality of prosthetic arms through the development of a situationally-aware prosthetic arm. Effectively building its own picture of the world, the prosthetic arm would ameliorate a person’s interaction with objects (e.g. handles and carryable objects); thus, improving their quality of life. Neurotech has been developed by Dr. Jonah Dearlove, a practising medic, and Luke Speller, a mathematician and theoretical physicist. Vitrue Health allows clinicians to evaluate patients’ functional health in a more sensitive and accurate way. 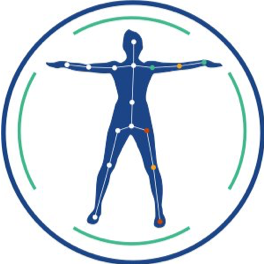 A computer vision based system autonomously measures the motor function metrics of patients. The reports outputted by Vitrue Health’s system will help clinicians and physiotherapists to treat patients in a more efficient way thus reducing healthcare costs. And now for the TOP5 Cleantech startups selected by the Innovation Forum evaluation committee to enter London’s IMAGINE IF! 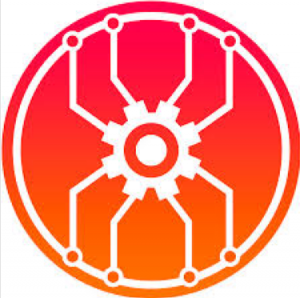 Accelerator Program. Blue Green Gold Biotech aim to build small scale, automated photobioreactors capable of growing microalgae. Their reactor design enables the rapid and accurate testing of algae strains, temperature, CO2, O2, growth rate and colour of culture. Factors including lighting, air flow rate, gas composition and temperature will be remotely controllable. Blue Green Gold Biotech wish to offer an algae strain testing service for the biotechnology industry and help companies pick optimal algae for applications including: reduced CO2 output from power plants, reduced organic waste runoff and animal feed production. ECOACT TANZANIA have developed a chemical free plastic extrusion technology ‘Waxy II technology’ that recycles plastic waste into a range of highly durable materials, including plastic timbers for construction and furniture making. Using beeswax, ECOACT’s technology helps plastic materials of various polymers reach their melting point rapidly whilst maintaining their stability and strength. The process has a low energy consumption and, therefore, a low production cost. ECOACT have already gained recognition for their work in the African entrepreneurial community and are pioneering plastic recycling in Africa. AC Biode have developed an innovative technology that splits water into its constituents, hydrogen and oxygen, using half the amount of electricity required for traditional electrolysis methods. Their technology, ultra-fast speed laser pulses, creates an ‘electron avalanche effect’ enabling many electrons to split water molecules efficiently. They aim to become leaders in the emerging Hydrogen (H2) industry and to create H2 stations that are simple, easy to use and flexible in location using excess power from renewables. With the rise of hydrogen fuel cell cars, H24E Innova are pioneers in a promising area that is still in its infancy. MintX Bio develop enzymes that will allow plastics to be recycled infinite number of times. Current plastic recycling methods require high energy consumption and lead to lower product quality. Additionally, complex materials made out of different types of polymers cannot currently be recycled. By using advanced lab-based techniques to mimic natural processes, MintX Bio are working to improve performance and combine capabilities of different enzymes to enable efficient degradation of various plastic polymers into their respective monomers at an industrial scale. SETA’s main aim is to revolutionise the biomaterial industry with a high-valued artificial spider silk. Utilising synthetic biology, recombinant functionalised spider silk fibres are produced for biomedical applications (e.g. 3D cell scaffolds for tissue engineering and drug delivery systems) at an industrial scale. SETA aim to become a number one company whose technology produces the highest-quality spider silk, a product that can be later used by biotechnology companies, hospitals, or research institutions around the world. Gill is the Senior Group Leader of Musculoskeletal Research within UCB Pharma Ltd.’s NewMeds department. 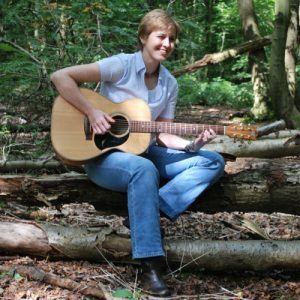 Having worked in the pharmaceutical industry for 26 years, Gill has vast expertise in the drug discovery and biotechnology sector and is keen to hear more about the grass root science in London. Prof Gino Martini is a pharmacist and holds a PhD in Drug Delivery from the University of Manchester. He has more than 20 years of experience in the pharmaceutical industry sector where he worked for Catalent, GSK, Roche and Shire. He is also Honorary Professor of Pharmaceutical Innovation at King’s College London and at University of Bradford. Dominic has more that 25 years of marketing and project development experience within the life sciences and pharmaceutical industry. 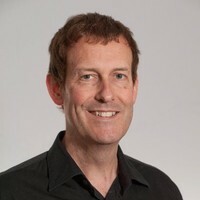 He is currently the Director of New Mosiac helping to commercialise diagnostic, medtech and life science businesses whilst also operating as an angel investor. 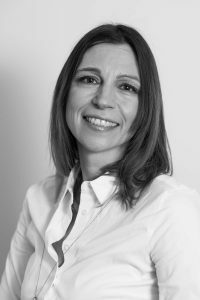 Letizia is the Director for Portfolio Management and Business Operations, at Johnson & Johnson Innovation, London. She brings a broad and extensive background across quality, CMC disciplines, supply chain launch management, alliance management, business development and commercial life cycle management. Letizia has track record of creating effective governances and collaborative environments, integrating silos and a passion for developing and nurturing alliances that allow parties to complement their capabilities and achieve higher goals. 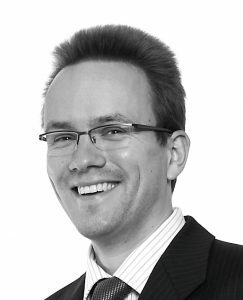 Thomas advises clients in the high tech field, in particular, in the electronics sector on internet-related subject matter and computer-implemented inventions. Thomas is moreover active in protecting inventions in the Cleantech and medical device field. He has worked on patent applications relating to non-volatile semiconductor storage devices, data processing and exchange, mobile telecommunications, smart grid related inventions, waste reduction and medical imaging, Thomas graduated with a Diploma in Biomedical Engineering from the University of Applied Science in Ulm (Germany) and went on to obtain his PhD from the Institute of Cancer Research. Peter is a director at Scottish Equity Partners and has a specialist expertise in infrastructure projects, leading the way for small community-based onshore wind turbines across the UK. 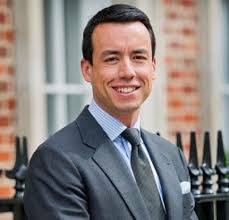 He has a background of almost 20 years in investment in clean technology and energy infrastructure projects and also has background in corporate law and finance. Henrik Hagemann is the CEO and co-founder of CustoMem Ltd. (2015), focusing on engineered biomaterials that target chemicals in water. He is an MIT Tech Review 35 Innovators Under 35 Europe, completed a Royal Academy of Engineering 1851 Enterprise Fellowship. 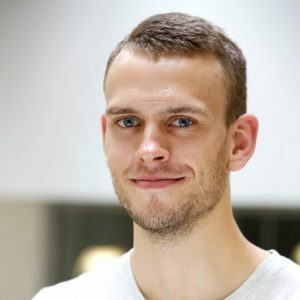 He is an active part of the deep tech community, having co-founded a synthetic biology society for students, SynBIC, after taking part in iGEM. His published research includes the intersection of synthetic biology with biomaterials (Florea, Hagemann et al., PNAS 2016).